LotusOpening News |: Are many of the world's so-called religions, just magnets for sociopaths and psychopaths? Are many of the world's so-called religions, just magnets for sociopaths and psychopaths? 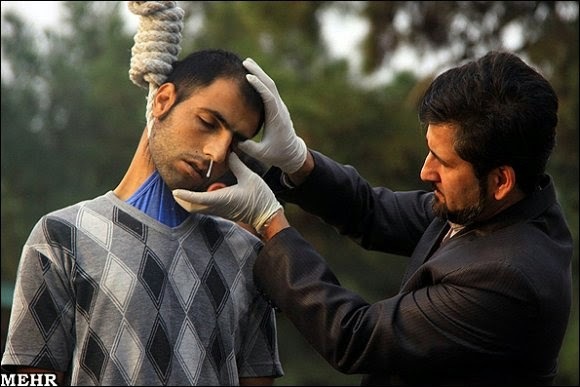 A gay Iranian man hung because of his sexual orientation. WAKE UP! The human race needs to RETHINK and REDEFINE the phenomena we're excusing every day, and labeling as part and parcel of "RELIGION," when they are in fact not part of true religion in the least, but activities by people who are mentally and spiritually ill. Many of our religions and religious denominations are nothing more than deranged organizations that are powerful magnets for sociopaths and psychopaths. Their poison passes into our governments, corporations, media, schools and families. Psychopathy mislabeled as divine religion, is causing most of our world's problems. There's nothing sacred about it, and it needs to be stopped.